Shirley E. Heffner, age 81, of Troy, OH passed away on Sunday, January 27, 2019 at the Upper Valley Medical Center, Troy. She was born on June 1, 1937 in Piqua, OH to the late Robert C. and Mary Beatrice (Rudy) Durand. Shirley is survived by her husband of 58 years: John E. “Jake” Heffner, whom she married on September 10, 1960; brother: Briton (Deborah) Durand of Troy; niece: Teresa (Tim) White of Troy; nephew: Christopher (Monica) Durand of Troy; great niece and nephews: Brittany Durand of Vandalia; Timothy John “T.J.” White of Charlotte, NC, and Logan Durand of Troy. Shirley was a 1955 graduate of Troy High School. She was a longtime member of the First United Church of Christ in Troy, the Ruth’s Circle and Saturday night Lay Reader of the church. 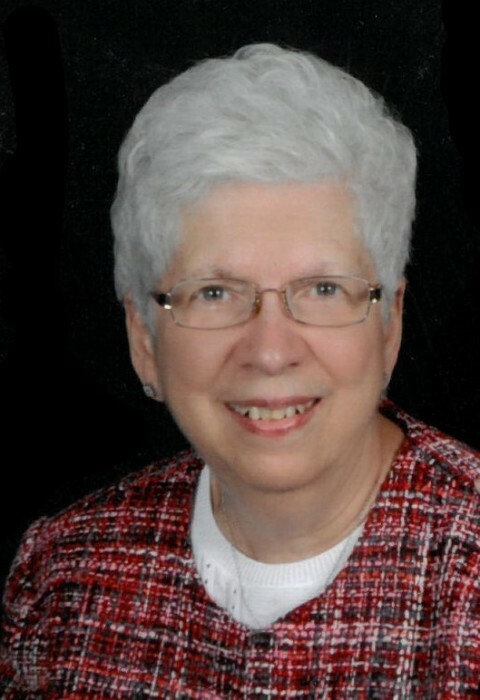 She was a volunteer with Upper Valley Medical Center and the former Stouder Memorial Hospital. She was Past President of ABWA, Troy and a member of Order of Eastern Star #256 Chapter in Troy. Shirley served as a longtime poll worker and presiding judge for Miami County Elections. Shirley was formerly employed with Murphy’s Five and Dime in Troy before retiring after 43 years of service with the First National Bank/Star Bank/US Bank in 2000. Shirley and her husband, Jake were honored as Troy Strawberry Festival’s Golden Couple in 2012 and then recognized as the All-Star Golden Couple in 2018. Shirley enjoyed crocheting, knitting, quilting, volunteering, collecting teddy bears and collecting cars with husband, Jake. She also remembered fellow members of the Shrine Club on their birthdays and other special days with cards. Services will be held at 10:00 AM on Thursday, January 31, 2019 at the Baird Funeral Home, Troy with Rev. Lauren Allen officiating. Interment will follow in Riverside Cemetery, Troy. The family will receive friends from 4:00 – 7:00 PM on Wednesday, January 30, 2019, at the funeral home. Memorial contributions may be made to Hospice of Miami County, P. O. Box 502, Troy, OH 45373 or First United Church of Christ, 120 S. Market Street, Troy, OH 45373. Condolences may be expressed to the family through www.bairdfuneralhome.com.